This Ex Cathedra pronouncement was formulated thusly: “Wherefore, in humility and fasting, we unceasingly offered our private prayers as well as the public prayers of the Church to God the Father through his Son, that he would deign to direct and strengthen our mind by the power of the Holy Spirit. In like manner did we implore the help of the entire heavenly host as we ardently invoked the Paraclete. Accordingly, by the inspiration of the Holy Spirit, for the honor of the Holy and undivided Trinity, for the glory and adornment of the Virgin Mother of God, for the exaltation of the Catholic Faith, and for the furtherance of the Catholic religion, by the authority of Jesus Christ our Lord, of the Blessed Apostles Peter and Paul, and by our own: “We declare, pronounce, and define that the doctrine which holds that the most Blessed Virgin Mary, in the first instance of her conception, by a singular grace and privilege granted by Almighty God, in view of the merits of Jesus Christ, the Savior of the human race, was preserved free from all stain of original sin, is a doctrine revealed by God and therefore to be believed firmly and constantly by all the faithful” (Ineffabilis Deus). 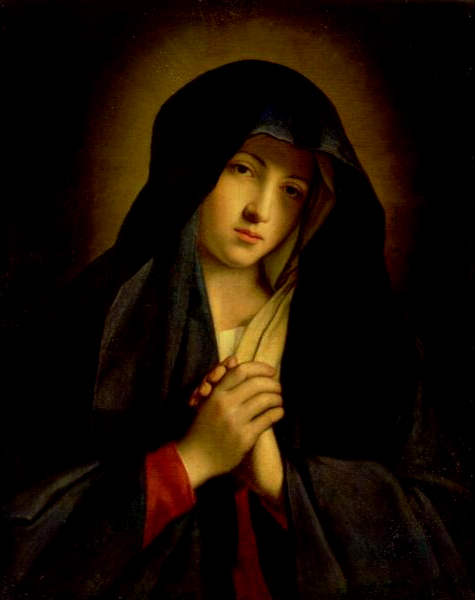 This third Marian Dogma of Mary’s Immaculate Conception was preceded by the first two Marian dogmas; namely, Mary, Mother of God, and Mary’s Perpetual Virginity. The first of these was Mary as Theotokos, or the Mother of God (as opposed to the Nestorian Heresy, which incorrectly concluded that Mary was simply the Mother of Jesus’ human nature, but not the Mother of God, and this would have been a logical consequence of the erroneous belief of Nestorius, Patriarch of Constantinople, who rejected the fundamental Christological reality of the hypostasis, or the union of the divine and human natures in the one Divine Person of Christ. 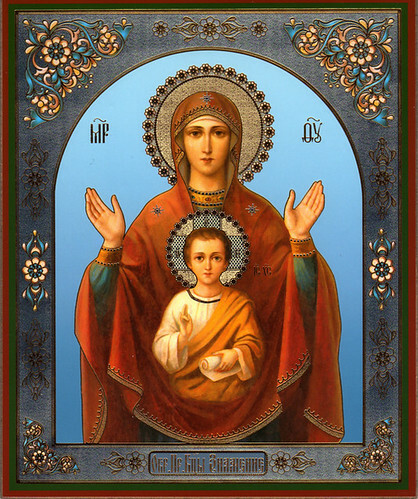 The dogma of Mary as Theotokos (God-bearer) supported the Church’s understanding of the hypostasis, the union of the two natures (divine and human) in the One Divine Person of Christ, a most fundamental, Christological dogma of the Sacred Deposit of Faith, that was defined at the Council of Ephesus in 431 A.D. Thus, we can see how accurate Mariology always and necessarily leads to a more perfect understanding of Christ. The second Marian Dogma, Mary’s Perpetual Virginity, can be stated thusly: Mary retained her virginal integrity before, during and after the birth of Christ. This second Marian Dogma was officially proclaimed at the Lateran Council in 649 A.D. According to the precise wording of the Council, Mary both became pregnant and gave birth to Christ, “without any detriment to her virginity, which remained inviolate even after his birth” (Lateran Council). After the dogma of the Immaculate Conception of Mary, the fourth, and, at the time of this writing, the final, of the Marian dogmas, was the dogma of Mary’s Assumption, body and soul, into heaven. 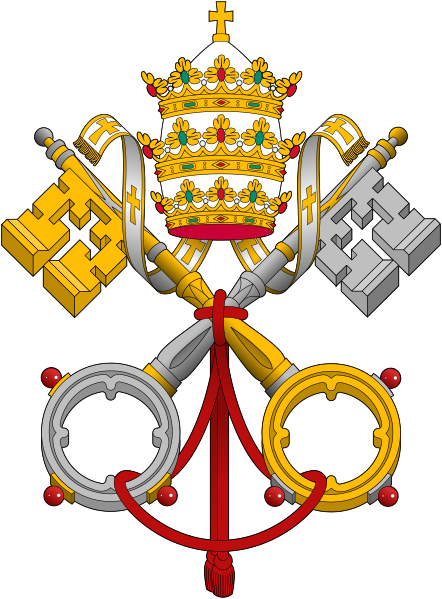 This dogma, proclaimed by Pope Pius XII in his encyclical, Munificentissimus Deus, was officially promulgated on November 1, 1950. It should be noted that the question of whether or not the Mother of God ever experienced death was not addressed, and remains a matter of theological speculation to this day. However, all the faithful must give full assent of intellect to the dogmatic truth that toward the end of Mary’s life on earth, whether or not she experienced bodily death, she was, indeed, taken up, body and soul, into heaven, and, due to her intimate association with her divine Son’s work of redemption, coupled with the reality that she was wholly untouched by the least stain of original and/or personal sin, it was the will of God that Mary’s body, the first and most glorious tabernacle of Christ Jesus, would not see decay or corruption, and that she, in imitation of her Son, would enjoy the singular privilege of possessing a glorified body. Ultimately, the Lord has promised that all of His saints will, at the final resurrection, receive such “glorified bodies,” in imitation of our Lord and our Lady. For now, however, our Lady is the only being, aside from her Divine Son, who possess such a body. Finally, while these four dogmas constitute all of the Church’s dogmas concerning our Blessed Mother, there is a significant movement within the Church to encourage His Holiness, Pope Benedict XVI, to dogmatically define a fifth and, what many believe shall constitute the “final and crowning” Marian dogma in Church history; namely, that of Mary’s Spiritual Motherhood of Humanity, specifically as this is expressed according to her three-fold function of Co-Redemptrix, Mediatrix of all grace, and Advocate for the People of God. As a matter of fact, it is the conviction of this author that such a dogmatic definition by the Holy Father, speaking on behalf of both the whole Church and all of humanity, will constitute humanity’s collective “fiat,” or “consecration” to the Mother of humanity, thereby enabling Mary to fully exercise her Maternal Mediation on behalf of all of her Spiritual Children, the adopted brothers and sisters of Christ, who comprise the Mystical Body of Christ. 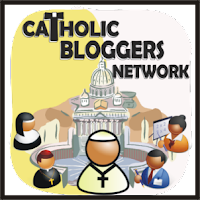 Numerous outstanding and highly reputable theologians and mariologists are working assiduously to promote, through both prayer and petition, the Holy Father’s dogmatic definition of this crowning Marian dogma. Should you feel inspired to sign a petition that will be sent to the Holy Father, encouraging him to carry out this marvelous act of entrustment of the Church and humanity to the Maternal care of Mary Immaculate, our Spiritual Mother, an act that will undoubtedly obtain for the Church and humanity a super-abundant outpouring of Mary’s well-beloved Spouse, the Holy Spirit of God, upon the whole earth, and finally bring to fruition the prophesied “Second Pentecost,” simply go to the top of this page and hover over any heading having to do with Mary or Mariology. You shouldn’t have difficulty locating a link to Dr. Mark Miravalle’s Vox Populi site, where you may participate in the petition drive that he has spearheaded by signing your name to the petition and praying the prayer of Our Lady of All Nations for the intention of the proclamation of this fifth and final Marian dogma. Marian Apostolate would like to wish you a most blessed celebration of the great Solemnity of the Immaculate Conception, to take place on December 8th. Pax et Bonum!